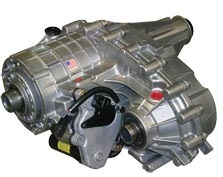 We can help you find a TRANSFER CASE. The transfer case is found only in 4 wheel drive Automobiles. The 2 wheel drive vehicles do not need a transfer case because the drive shaft will be connected straight from your transmission to the drive wheels whether it is front wheel drive or rear wheel drive. Your transfer case directs power to both the front and back wheels using two separate driveshafts. We can find a used transfer case! Please tell us the year make and model of your vehicle in the form above so we can locate a Used Transfer Case for you!